All in all a very useful and informative event – possibly the first data-centric event that I have attended that had a predominately business audience. Senior managers and Chief Data Officers from banking, insurance, government, retail and more shared experiences, got to know each other and shared experiences. More and more business are recognising that data is a business issue. Over the next few weeks I plan to publish a few lessons from our local forum. 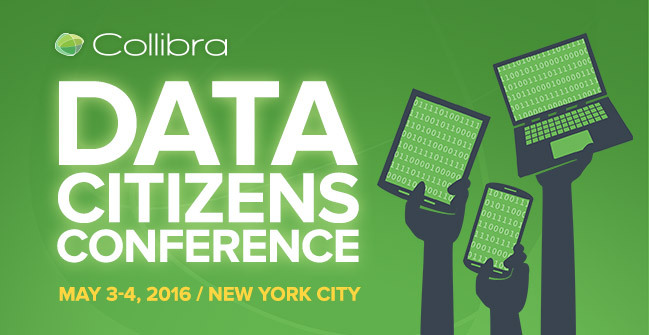 However, today I would like to first feature the lessons from our partner Collibra’s Data Citizen’s conference which ran in early May in New York city, as our event echoed many of the outcomes of the event in New York. What was the key data governance lesson from the event? Just get started! Data governance is a journey and getting started is the hardest part. Various commitments (and an expired US VISA) made it difficult for me to attend what was by all accounts a very well received and well attended event. Collibra’s rapidly expanding user community shared data governance implementation lessons and were brought up to date with Collibra’s plans for the next year. A great summary of this year’s event was provided by Gartner consultant, Andrew White.